Aroma diffusers use essential oils to create a blissful environment around us. Aside from making the room smell nicer, they also have a calming effect on us. It is similar to the way essential oils are sometimes used in aromatherapy. If you’ve been under a lot of stress recently, then you should try using an aroma diffuser to help you relax. Since there are numerous options available on the market, it can be hard to choose the right one. 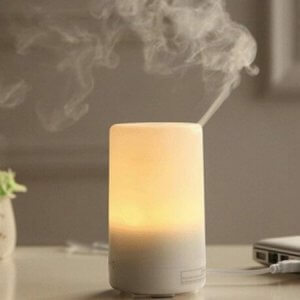 Therefore, this article will help you understand how you can choose the best one for your specific needs, and also provide you with a list of top 10 best aroma diffusers you can buy online in India to help make it even more convenient to get one. The following sections will discuss some important things you must keep in mind when looking into aroma diffusers. 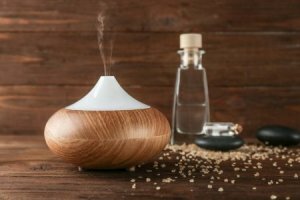 There are various types of aroma diffusers on the market, so you must understand the differences between them and choose the one that suits your needs. The four most commonly available types are candle type, electric type, the ultrasonic type, and reed type. 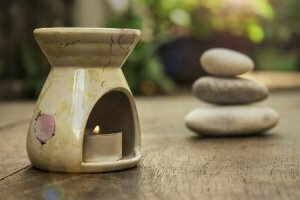 A tealight candle is placed in the diffuser with a bit of water and a few drops of essential oil in a container at the top. When the candle is lit, it heats the water, vaporising the oils so they can spread their fragrance. These types are much cheaper as they don’t use electricity, and it’s easy to find inexpensive tealight candles in India. Since the scent is usually quite faint, it limits the use of these types of diffusers to smaller spaces such as the bedroom. It’s also important to note that the candles run out quickly, so you’d need to keep replacements ready to ensure constant use. The water level needs to be monitored as well, to prevent the oils from burning. 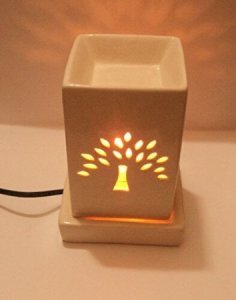 Readily available in most parts of India, this diffuser works like the candle diffuser, but instead of a candle, it uses electricity. Add few drops of essential oil and water in the container at the top, switch it on, and the heat from the bulb will help spread the aroma of the essential oils around the room. 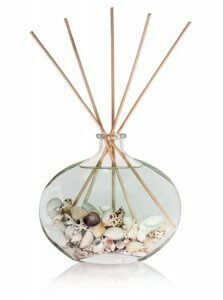 These diffusers work quickly and can carry heavier scents, therefore they’re great for larger spaces too. We recommend buying one with a bigger water container and an automatic switch-off feature. It is also important to check what type of plug it has, and buy an adaptor if you need to. This type of diffuser uses ultrasonic vibrations to break down the water and essential oil molecules and diffuse them into the air. These diffusers double as humidifiers, making them great for winters when the air can feel quite dry. They often also come with beautiful LED lights, which can act as night lamps. Although, there are only a limited number of options available for this type of diffuser on the market. Since these diffusers can be much more expensive than the other types, it is important to check if they come with any warranties. They must also be cleaned regularly, to prevent any bacteria or mould growth. This type of diffuser has reed soaked in aromatic diffuser oil, which disperse a pleasant scent into the air without using any heat. This is considered to be one of the safest and most natural ways of dispersing fragrance in the surroundings. 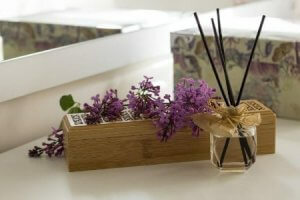 Reed diffusers are affordable, easy to use, and can carry heavier scents as well. However, these types of diffusers are not suitable for larger rooms as they would run out of oil very quickly. You must also remember that the reeds need to be changed every 4 to 5 months to ensure they continue to work properly. Due to the strength of the scents, these are not recommended for people with sensitive noses. In addition to the differences based on types, there are some other features that you must think about as well. 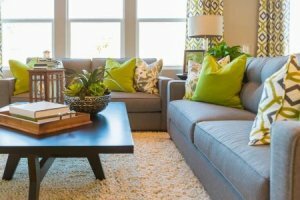 These include factors like the size of your room, whether the diffuser matches the rest of your room decor, the amount of space the diffuser needs, and lastly if it comes with a warranty. 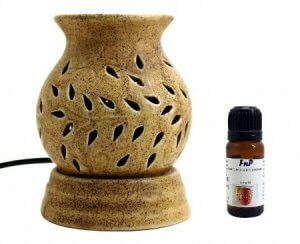 Diffusers come in various sizes, and it is important for you to choose one that would be powerful enough for your room. If you’re planning to use a diffuser in a huge room like the living room, then we recommend using an ultrasonic type, electric type, or a reed type with lots of reeds and a large amount of diffuser oil. On the other hand, if you’re looking for something for your bedroom, then we recommend choosing a candle type or a reed type with fewer reeds. You may also use an ultrasonic type on a lower setting in the bedroom, but an electronic type might be too strong for such a small space. Since the diffuser will usually be kept in a visible space, you may want to choose a design that matches the rest of the decor. 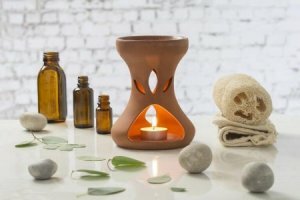 It may not be the most important aspect, but it won’t hurt to buy a diffuser that not only makes your room smell better but also makes it appear more aesthetically pleasing. Before you buy a diffuser, you must carefully consider where you are going to place it, so it’ll be safe. This is particularly important for the candle type and electric type diffusers as they use heat energy, and can get extremely hot while in use. Candle types are the most dangerous ones as they can even cause fires and burns. If you have kids at home, then make sure you place the diffusers in a spot, which is beyond the reach of kids, to prevent any accidents. Since buying ultrasonic diffusers, as well as getting them repaired, can be quite expensive, you may want to check if they come with a warranty. Although it is hard to say how long the warranty period should be, a 6 to 12 months warranty is considered to be good enough for diffusers. It is now time to reveal our recommendations for the top 10 best aroma diffusers you can buy online in India. We hope you will be able to find the ideal product for yourself from our list! If you’re looking for a well-built ultrasonic aroma diffuser, then this is the one for you! It has 3 different coloured light settings, which can be controlled separately, so you can use it as a night lamp as well. In addition, you can set a timer for how long you want to use it, and if it is running low on water, a little red light turns on to let you know. Although it does not automatically turn off if the water is completely gone, so you would need to keep an eye on it to prevent any potential fire hazards. Furthermore, it is a really expensive product, and unless you’re going to be using all the features regularly, we would suggest getting a cheaper alternative, especially if it’s your first diffuser. 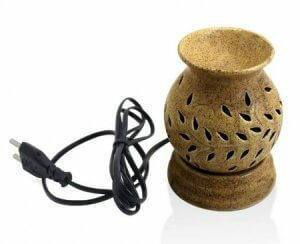 This small electric diffuser is perfect for those who need an aroma diffuser for small to medium-sized rooms, and want a product that comes with an essential oil. This diffuser set comes with a small lemongrass essential oil bottle, so we would recommend it to those who prefer fresh, herbal scents over floral and sweet ones. However, despite being quite an expensive product, it does not come with a bulb, and you would need to buy one separately to use it. You must be careful though, if you use the wrong bulb, it could ruin the circuit and the bulb. It also takes quite a while to spread the aroma as the heat from the bulb is not sufficient to warm the water quickly. 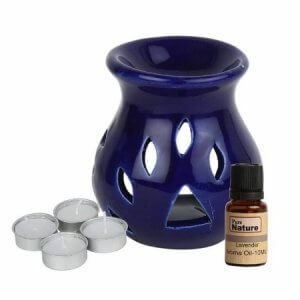 Those who want an ultrasonic aroma diffuser that can spread fragrances quickly and noiselessly will love this product. 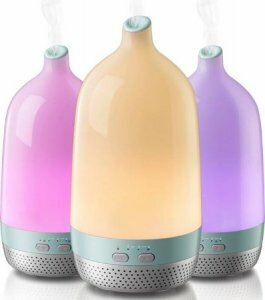 It works as a humidifier and night lamp as well, and you can choose to have just one colour or several colours in a rotation. It also turns off automatically after 8 hours or once the water is completely gone. It is quite an expensive product though, and yet it is only suitable medium-sized rooms, so if you’re planning to get this for larger rooms, you might be disappointed at the performance. In addition, it has an American style pin, so you would need to buy an adaptor if the plug points in your house are not compatible with it. 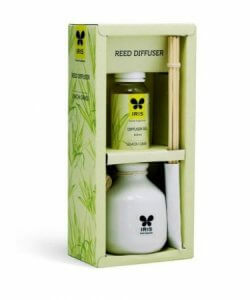 If you’re not a fan of floral or sweet scents and prefer having herbal and refreshing scents, then this reed diffuser with a lemongrass fragrance would be great for you. It takes around 2 hours to spread the fragrance and is perfect for those who need something for smaller rooms like the bedroom, bathroom, or study. However, if you’re not a fan of strong scents, or have a sensitive nose, then we’d recommend choosing another product as this may seem too overpowering to you. It’s also slightly more on the expensive side since the diffuser oil does not even last a month and would need to be refilled in 15 to 20 days. 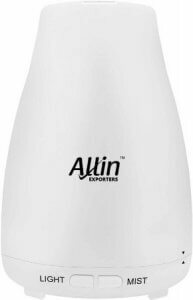 This is a great option for those looking for a diffuser for a small sized room or their office cubicle. The fragrance doesn’t take very long to spread either, just about fifteen minutes. It is also quite affordable as you get two tea-light candles, a ceramic diffuser, and a 5ml bottle of jasmine essential oil, all for under Rs.250! On the downside though, the candles included in the set burn out really fast, and the essential oil may seem too weak to some people. The candles, in particular, would probably disappoint a lot of people because each candle burns out in less than two hours, and you would have to buy new ones pretty soon. 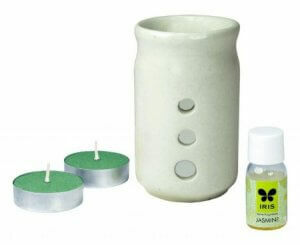 This aroma diffuser set includes a small candle-type, 10 ml bottle of lemongrass essential oil, and 4 tealight candles. Therefore, it’s perfect for those who want to try using a diffuser for the first time and do not want to spend too much money on it. The candles burn for 3.5 hours each, so they will definitely last for a while. On the downside though, the essential oil that comes in this set is too strong, and the scent seems too artificial, so if you’ve got a sensitive nose, or prefer natural scents, then you will have to buy another essential oil with it. Additionally, since it is really small, it only works well for smaller spaces like office cubicles or bathrooms. Those who want to make their surroundings more relaxing will love this affordable aroma diffuser set as it comes with a ceramic candle-type diffuser, 4 tealight candles, and a bottle of lavender essential oil! Although it looks small, it works really fast, and within 10 minutes it can make even medium-sized rooms smell great. If you’re not someone who can constantly keep an eye on the water level though, we wouldn’t recommend this product to you because the water container is pretty small and needs to be refilled frequently. Furthermore, even though the lavender scent is calming, it is quite strong, and those with sensitive noses would not like it as much. This aroma diffuser is recommended for those who want a high quality ceramic electric-type aroma diffuser set for small to medium-sized rooms, but do not want to spend a lot of money. 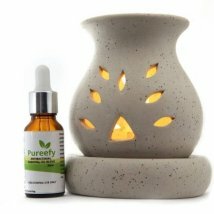 This diffuser set comes with a spare bulb, and a small bottle of lemongrass essential oil, so it would be better for those who enjoy slightly more herbal scents. The distance between the water container and the bulb is just right, so it heats up really fast, and spreads the scent in less than 5 minutes! Since the water container cannot hold too much water at once, this product would be better for those who want to use an aroma diffuser for a few hours, rather than all through the night. 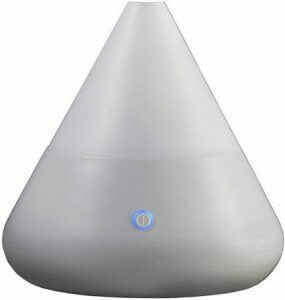 With a 6 months warranty, this is one of the cheapest and best ultrasonic aroma diffusers on the market, so we’d recommend it to those who’re looking for affordable aroma diffusers and humidifiers! It spreads the fragrance within a couple of minutes, and although it looks small, it can be used in medium-sized rooms as well! It can hold up to 100 ml of water at once, so it can be used for 3 to 4 hours continuously, and once the water is gone, it turns off automatically to prevent any hazards. It can also be used as a humidifier and a night lamp, and both of those features come with separate switches, so you can customise how you want to use the products. The best product on the market, we especially recommend this to those who are living in places with high levels of air pollution, as it comes with a diffuser oil which uses 5 different oils, which help with respiratory problems and allergies. Despite its size, it works well in medium-sized rooms too, and spreads the scent within a few minutes! It contains purifying and healing essential oils like clove, eucalyptus, rosemary, lemon, and cinnamon, but it is still mild enough to not irritate sensitive noses. Once you fill the water container, it works for about 4 hours, before needing a refill, so it would be better for those who only want to use it for a few hours, rather than all night. With various types of aroma diffusers on the market, it can seem hard to decide on one, but if you can understand the differences between each type, and compare them based on your needs, you shouldn’t have much of a problem choosing the right one. We hope our article aided in this process and it was able to explain what makes each type of diffuser unique. We also hope our list of recommendations made it more convenient for you to know the best aroma diffusers on the market and you were able to select one for yourself.